Join Mailing List for FREE Recipes! 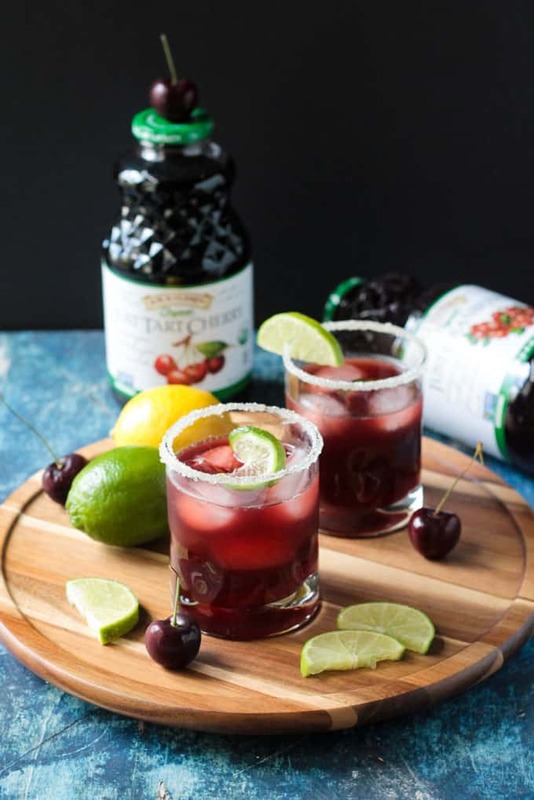 Tart Cherry Sparkling Lemonade – sweet, tart, and a little fizzy, this easy to make fruit juice drink is the perfect summer sip! We’ve had several weeks here in the Midwest with the temperatures in the 90’s. Multiple trips to the pool have been helping to keep us cool. 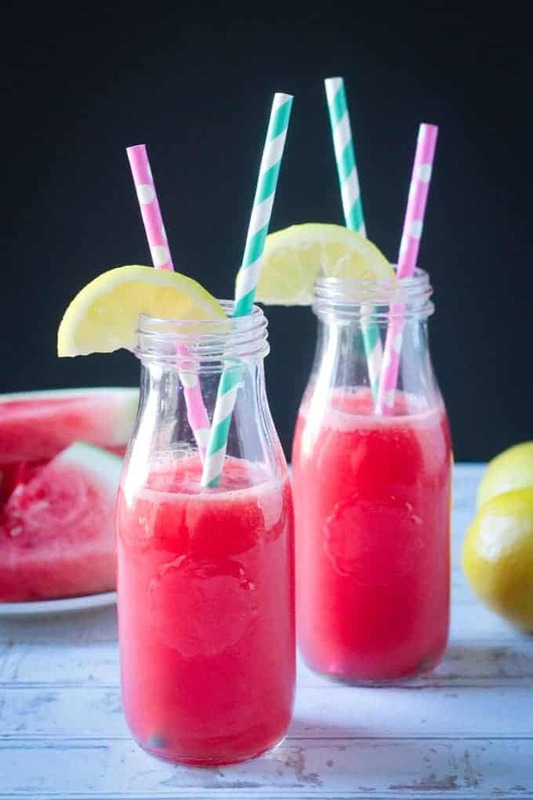 Guzzling tons of water and deliciously hydrating fruit juices, like my Easy Watermelon Juice also helps. Lemonade is a summer favorite around here, too, and I’ve totally upped my lemonade game by adding tart cherry juice and sparkling water! It’s a little tart, a little sweet, a little fizzy, and a whole lot of fun to drink! R.W. Knudsen began bottling organic fruit juices in 1961. He was committed to making juices of the best possible quality for his own family. Today, the company partners with growers around the country who share that same commitment. Most store bought juices contain a lot of added sugar and I really appreciate the single fruit line of juices that are 100% fruit juice. They’re undiluted so you’re getting the maximum taste associated with each respective fruit – no juicer needed! They’re perfect for mixing with other ingredients or drinking on all on their own. I’ve been drinking this Tart Cherry Juice for quite awhile. 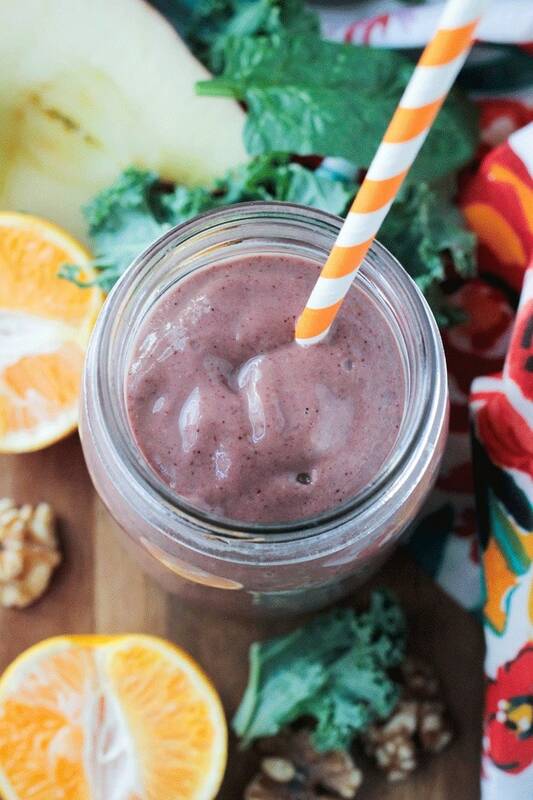 I like adding it to smoothies in the morning. And sometimes I drink it straight up post-workout or before bed. 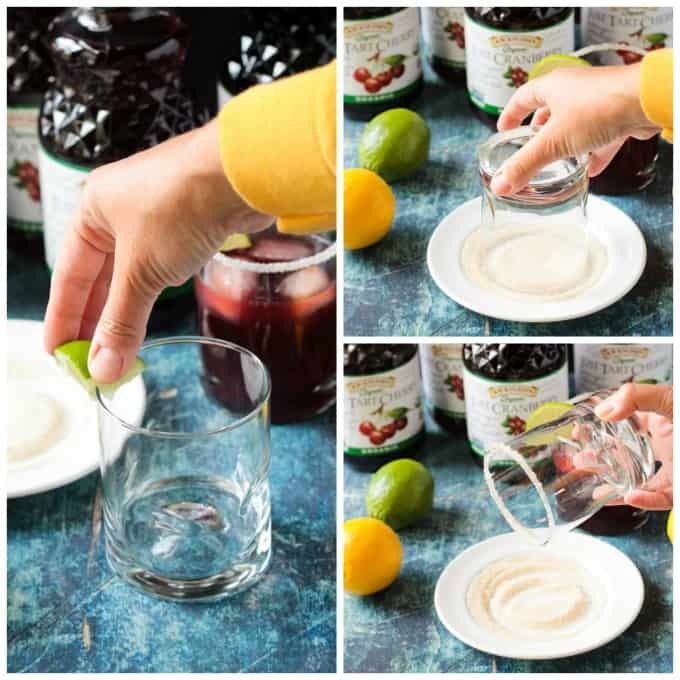 Most recently, I’ve been enjoying it the most in the Sparkling Lemonade recipe you’ll find near the bottom of this post. The Cranberry Juice is super tasty as well. It’s also USDA Organic, Non-GMO Project Verified, All Natural, Unsweetened, and contains No Artificial Flavors or Preservatives. 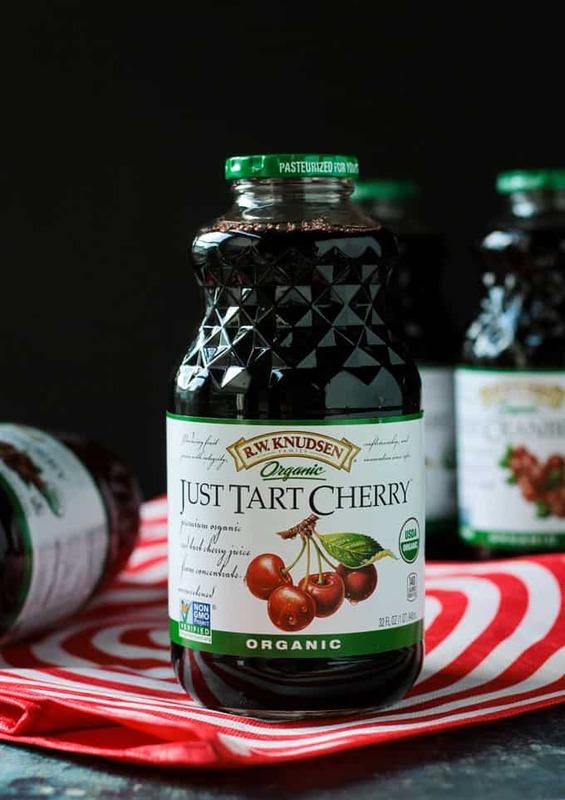 You could swap out the Just Tart Cherry® Juice in the sparkling lemonade and use the Just Cranberry® Juice instead if that’s more your thing. Both of these R.W. 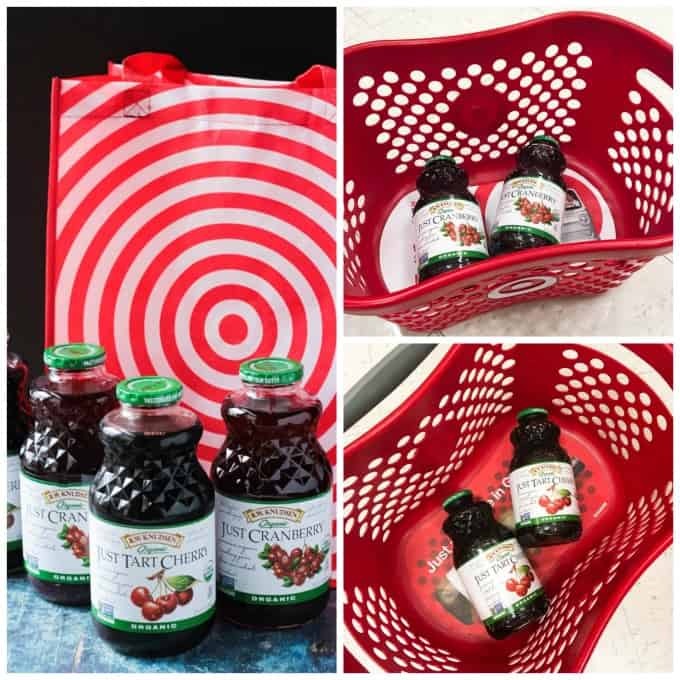 Knudsen Family® Single Fruit Juice flavors can easily be found at Target. If you’re anything like me, you visit your local Target store at least once a week. Most weeks, I make multiple trips. Groceries, clothes, shoes, back to school supplies, home decor, bedding, make-up, toiletries, books, toys, furniture, electronics, gift and party supplies…I mean, what doesn’t Target carry?! They have everything I need, plus great items that I didn’t even know I needed until I spot it on the shelf. Sometimes, at the end of the day once the hubby is home, I like to head on over to Target, grab a coffee, and just wander the aisles kid free. It’s a little like heaven on Earth, amiright?! 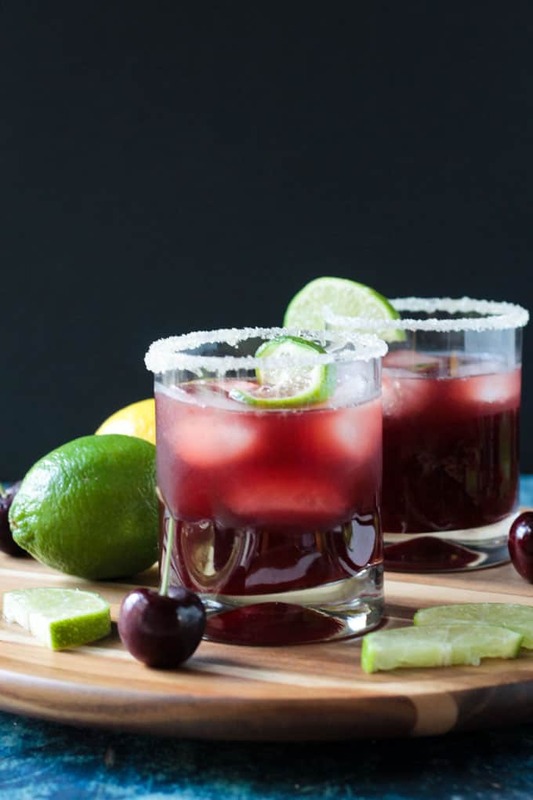 This pretty red summer sip is incredibly easy to make. First ~ Coat the rim of your glasses with lime juice and sugar. This step is optional, but highly recommended. 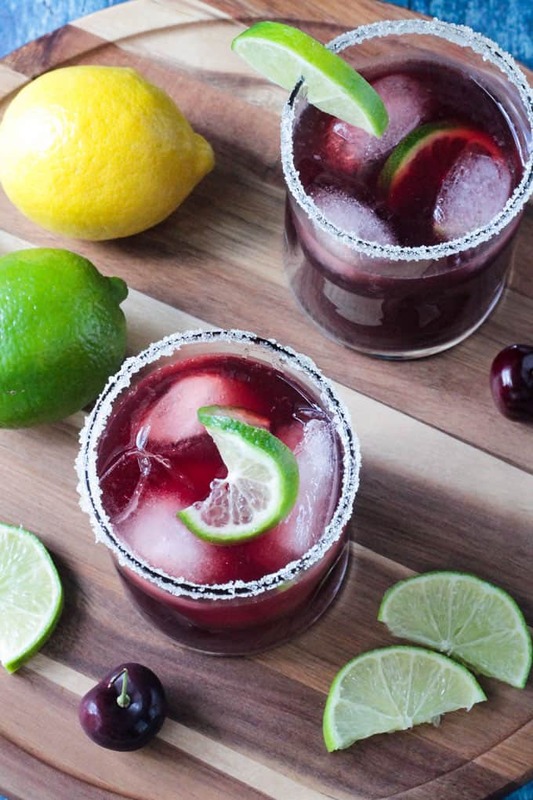 Second ~ Mix the Tart Cherry Juice, fresh lemon juice, lime sparkling water, and agave. Third ~ Pour the sparkling lemonade into the glasses over ice. Fourth ~ Top off with an extra splash of sparkling water or squeeze of fresh lime, if desired. Fifth ~ Sit back, relax, and enjoy! This recipe could easily be scaled up for a crowd. Pour it into a large pitcher or punch bowl and float some lime and lemon slices for a beautiful presentation. It’s a refreshing drink that’s as pretty as it is tasty. Really wishing I was poolside sipping on one of these beauties right now! 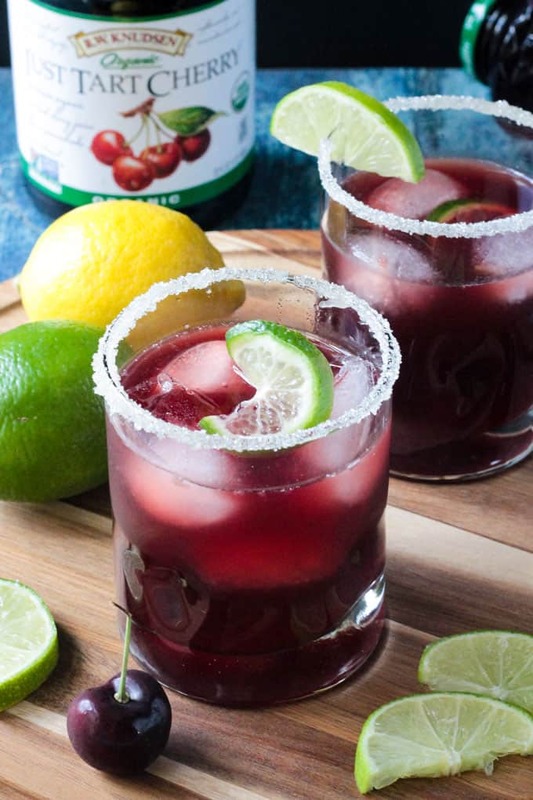 I hope you love this Tart Cherry Sparkling Lemonade recipe as much as I do. If you try it, please come back and leave me a comment below with your feedback and star rating. You can also find me on social media. Be sure to tag @veggie_inspired and #veggieinspired so I’m sure to see it. 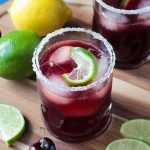 Tart Cherry Sparkling Lemonade - sweet, tart, and a little fizzy, this easy to make fruit juice drink is the perfect summer sip! 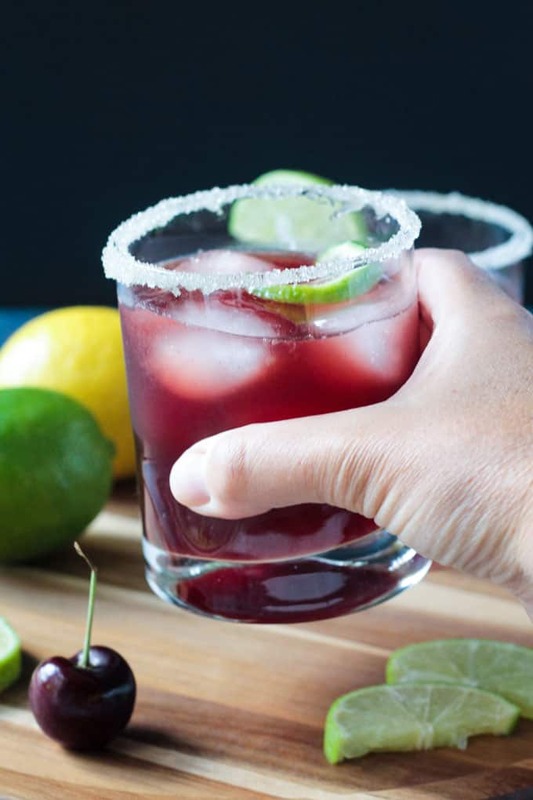 If using the optional sugar garnish: Using a lime wedge, moisten the rim of two glasses. Sprinkle sugar onto a plate and dip the moistened rim of the glass into the sugar. 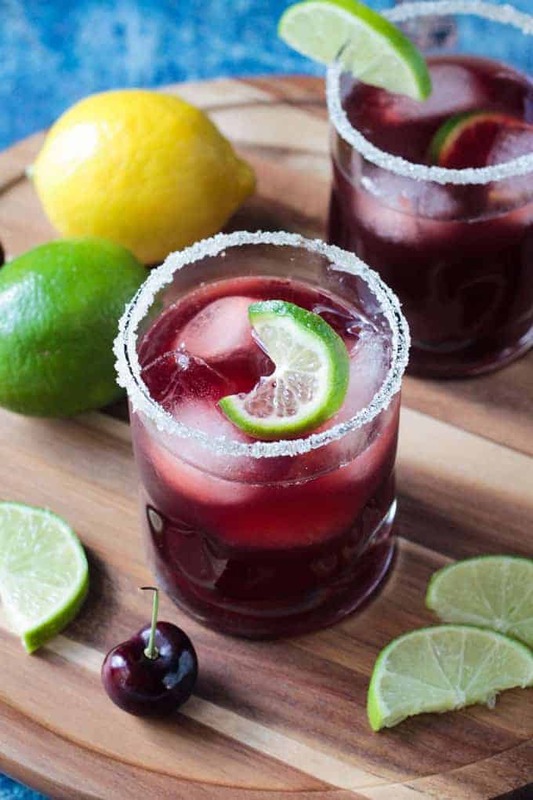 Pour the tart cherry juice, lemon juice, lime sparkling water, and agave (if using) in a glass or jar. Mix well. Add ice to each glass. Pour half of the sparkling lemonade into each. Top off with another splash of sparkling water or a squeeze of fresh lime, if desired. *The agave for sweetener is optional. I like really tart flavors and the sugar on the rim of the glass is generally enough sweetness for me. 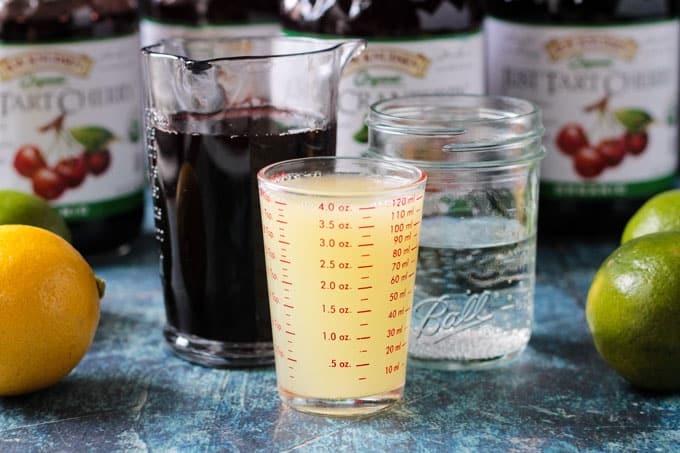 However, 1-2 tbsp of sweetener does balance the flavors well and especially nice if you are not using the sugar on the rim of your glass. ~Nutrition facts calculated for drink with 1 tbsp of agave and no garnish. Haha, I wouldn’t blame you one bit for adding a little something extra! Hope you love it, Linda. Thanks! What a refreshing beverage! I’ve been reading a lot about the benefits of tart cherry juice lately and need to give it a try. 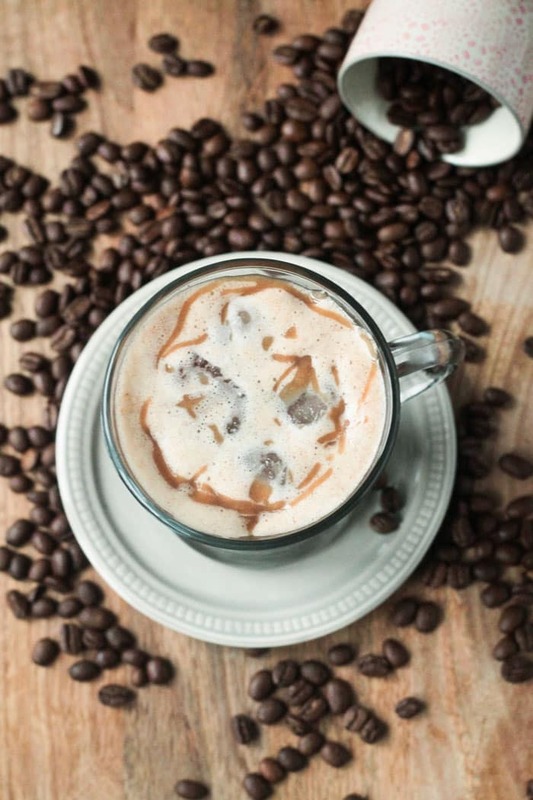 This looks so refreshing….so perfect for these remaining hot days! This looks so refreshing and the perfect beverage to cool off with. And I’m definitely a Target kinda girl but didn’t realize they carried that brand. Will have to look for it. Oh my gosh it’s been a hot summer here in the Pacific NW, too! I could have used a few of these by the pool, too!! I LOVE the color! The humidity is terrible. AC, swimming pools, and refreshing drinks are a must! A cool refreshing drink is just what you need when the heat is on. Loving the colour of this pretty drink. Thanks, Katherine. It definitely helps take the edge of the heat! What a great refreshing drink to sip on! It’s been so hot here than I don’t even want to leave the house. This looks like just the thing to help cool me off! I’m so tired of being super sweaty all the time! At least delicious summer drinks help take the edge off! My name is Jenn. This is my blog where I share delicious plant based recipes for the whole family. I love to cook; I can read cookbooks like novels; and I enjoy experimenting in the kitchen by making standard American favorites healthier. Jenn Sebestyen/Veggie Inspired is a participant in the Amazon Services LLC Associates Program, an affiliate advertising program designed to provide a means for sites to earn advertising fees by advertising and linking to Amazon.com. Unauthorized use and/or duplication of this material without express and written permission from this blog’s author and/or owner is strictly prohibited. Excerpts and links may be used, provided that full and clear credit is given to Jenn Sebestyen and Veggie Inspired with appropriate and specific direction to the original content.